Everyone wants to get into an Ivy – they just do. The name opens doors, and the alumni network is second to none. Plus your parents would be really proud. Every year thousands of hopeful high school seniors labor over essays, obsess over words, and shake before interviews. Some hire coaches, like Jillian Bayor, a former Harvard interviewer, and the founder of Ivy League Essay, a company that specializes in getting students into the Ivy League. So Jillian, how do you get into an Ivy? I really look for uniqueness, individuality. Obviously you really need to have the strong grades, the strong test scores, but then you have to bring something unique to the table, what makes you stand out? Why should we pick you? I had a girl, 17 years-old, a high school senior, who ended up developing a wound healing method that was then adopted by the US Army, and that is a part of the burn unit now. She developed it and patented it, and it’s used all over the world. I get a lot of kids who give me a list of their extracurriculars, things like school newspapers, math club, debate club, and those are all fine, but it’s not going to be enough. You really need to stand out in some way. Even more so, student council president, that comes up a billion times. The schools are choosing the future leaders of tomorrow, they’re looking for people who are driven and are going to be at the forefront of whatever field they pursue, so that’s kind of what they’re looking for. What should students avoid on their application? With the essays, I get this problem over and over again with the common app is students writing it as if they were writing a novel and 99 percent of the time it’s bad writing. So you want to write it as a formal essay. Opening the essay by saying “the sky was dark when I woke up that morning” does not make for good writing, and I see that over and over again. It’s novelistic in it’s approach and it never works. What is it that makes the Ivy League so special? It’s the history, it’s the institution, it’s the fact that it attracts the best scholars, the best professors, and the best student class. You’re putting yourself with the cream of the crop. These are the people who are going to go on to achieve things in this world, who will become the voice of this generation. It’s also the future opportunity. Your class moves with you, and by that I don’t mean somebody you can call up to get a job interview, but of course that does happen, it becomes a community. There are Harvard clubs around the country, and I would certainly assume most countries in the world. The alumni network in the Ivies are very well established. If there are any blips in the road that’s who you can fall back on. When you’re writing an application, should you tailor it to a specific college? Yes, each school has its own niche, and it would behoove anyone to find out what that niche is, because that means not only will you be happy as a student in that university, but you will increase your standards by knowing what each school is looking for. Not so you can tailor your application to that, but so you’re not just haphazardly applying to all eight Ivy League schools and seeing what sticks. You want to be very knowledgeable what you’re going after. For example, Yale is very well known for its music department, and its foreign relations. So say, your whole idea in life is that you wanted to go into government, well Yale would be an excellent choice because that’s something that Yale is known for. What are the individual niches? It’s very subtle. 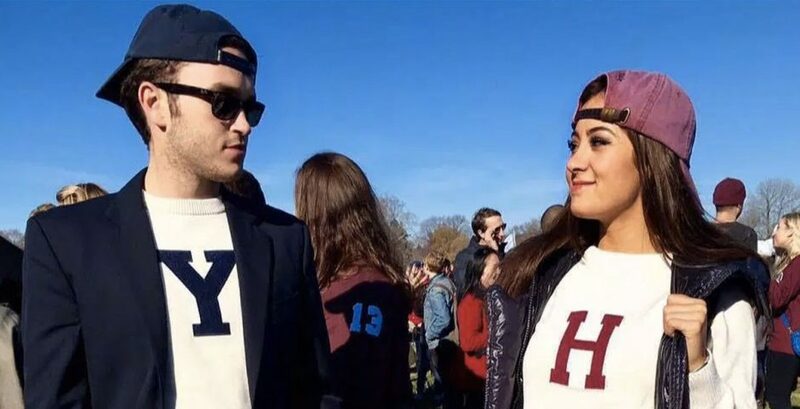 The top three schools in terms of the Ivy League are Harvard, Princeton, and Yale, and they’re going to take the top students who are just cream of the crop. On the low end, UPenn and Cornell are considered the two easiest Ivy League schools to get in, but believe me all eight are extremely hard to get into. Brown University, for example, is known as the most creative of the Ivy Leagues. UPenn is very well know for Wharton, its undergraduate business program. If you wanted to get into investment banking in New York, you’d be better off applying to UPenn and going to Wharton’s undergraduate program than you would applying to Cornell or Brown. Is it worth spending the time to finetune your essay? I believe a good application will shine through regardless. At a certain level, yes, you want to review the essay, you want to make sure it flows, you want to make sure the narrative is as tight as it can be. It’s your experience that’s going to attract the attention. What are hardest colleges to get into? I consider Harvard and Princeton the hardest colleges to get into. At that level, everyone is uniquely at the highest level that they can be. Do you think there are more or fewer people who have the personality needed to get into an Ivy League? I think it could go either way. I think in America at the moment there is an anti-intellectual trend, especially if you look at TV, and what people are doing with their time, but I think there is always that niche group, that is different, that is spending their time pursuing scholarly, academic things. When you meet a student, can you tell if a student is going to be successful? Usually, I can tell immediately. Sometimes I’ve been surprised that somebody I meet in person, who I think is a strong, serious, competitive candidate surprises me, and I look at their application and they can’t write. More often than not, if I’m speaking with a student, I know right away that this is a competitive student, this is someone who can converse on an adult level, on an intellectual level, and have an intellectual conversation. Does judging someone just on their ability to write mean good applicants get away? I don’t know what you mean, because if they can’t write, they’re not good applicants. No matter what your field, even if you’re a physicist, even if you’re a computer scientist only working with code and numbers, I do think you need to be able to convey at an intellectual level to know what this is about. Even as a painter, at intellectual level, you need to be able to convey your words. If you don’t have verbal skills in terms of writing, then the Ivy League is probably not for you, you should go somewhere like MIT, or a tech school. How do you know whether someone has had a good Ivy interview or not? The students who I don’t feel are competitive, their interview will actually be very easy. If we know a student isn’t very competitive we’re not going to sit there and torture them. If you’re getting a bunch of really difficult questions thrown at you, it’s because the interviewer thinks that you are competitive and they’re trying to ask more about you. These girls are wicked smart. How open-minded do you think the board of Ivy admissions are? If someone was fascinated by something that was a taboo in society would that work? That would not fly. You have to remember, you have to remember the people interviewing you are from a different generation, if not older. These are representatives of the traditional university – you know the Ivy League with its brick buildings and 400-year history, this is the epitome of cultural tradition. Is it something intellectual? That’s a little different. What if someone is, say, a YouTuber, and they have a huge audience of 100,000 people. That’s not necessarily something that is traditional, would that impress the board? I’ll tell you this, it’d mean nothing to me. I’m aware of what goes on with social media. For example, I had a student in Sweden who had his own blog, and he had all these numbers. It meant nothing to me until it was written up in the Huffington Post or something like that. Until he mentioned a publication that I know about, that’s when it crossed over into “oh OK, this is interesting, this is different,” he has actually become a voice in terms of a known entity, a public voice, a public figure. Is the board quite traditional, and is that a problem? I do believe that the board is quite traditional, that is what the Ivy League is about. They’ll value patents, they’ll value publications, they’ll value serious research experience. Let’s say you’re an eccentric painter, that’s interesting, but say you’ve also had some gallery shows, that gives you validity, it establishes you.